The numbers are in, and once again, Schofield Middle School’s Amateur Radio Club achieved two top 10 rankings in the American Radio Relay League School Club Round Up. 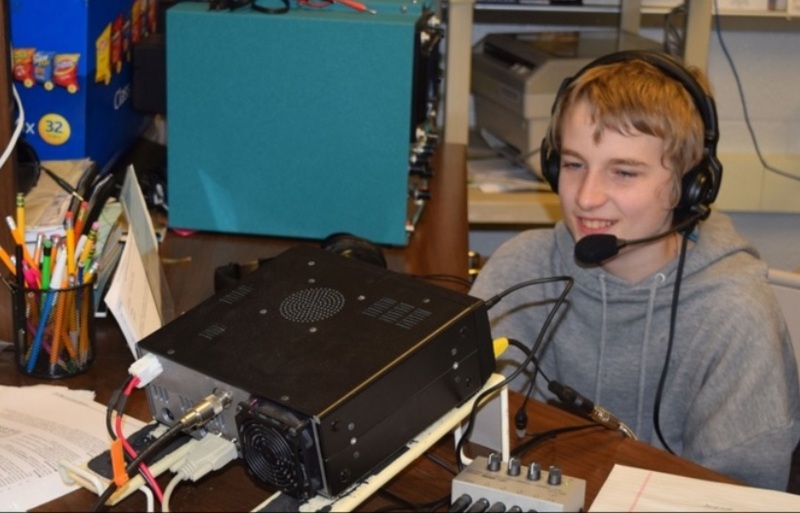 The club ranked fifth among middle schools across the country for contacts with other ham radio operators and 10th overall in the nation among 62 schools that participated in the annual competition. Last year, the club ranked third for middle schools and 10th overall. “The kids all seem to get a kick out of making these contacts on the radio,” said faculty sponsor Tray Nelson, who teaches computer keyboarding and computer applications.